When we hear the word “terrorist,” we tend to imagine elaborate, devastating attacks carried out on a massive physical scale. We think of infamous tragedies like 9/11, the Oklahoma City Bombing, or the midair explosion over Lockerbie. However, a terroristic threat does not have to be nearly so large or so intricate in order to be considered a criminal offense with serious legal consequences. In some scenarios, even a misguided prank can be considered a terrorist threat. If you or your child has been accused of making a terroristic threat at their school, workplace, or any public place in Utah, highly skilled legal representation is essential. In addition to resulting in debilitating fines and many years in prison, a felony or even misdemeanor conviction related to terrorism can permanently destroy your reputation and your future, creating a record that will be visible to law enforcement officers, court officials, potential employers, and others. Contact the law offices of Overson Law, PLLC immediately for a free and confidential legal consultation if you have been charged with terroristic threats in Utah. How Are Threats of Terrorism Defined Under Utah Criminal Code 76-5-107.3? Terroristic threats are extremely serious charges, and you should not attempt to represent yourself in court. Mishandling a single detail, or omitting a seemingly trivial fact, could compromise your case and lead to a life-altering criminal conviction which could classify you as a felon. 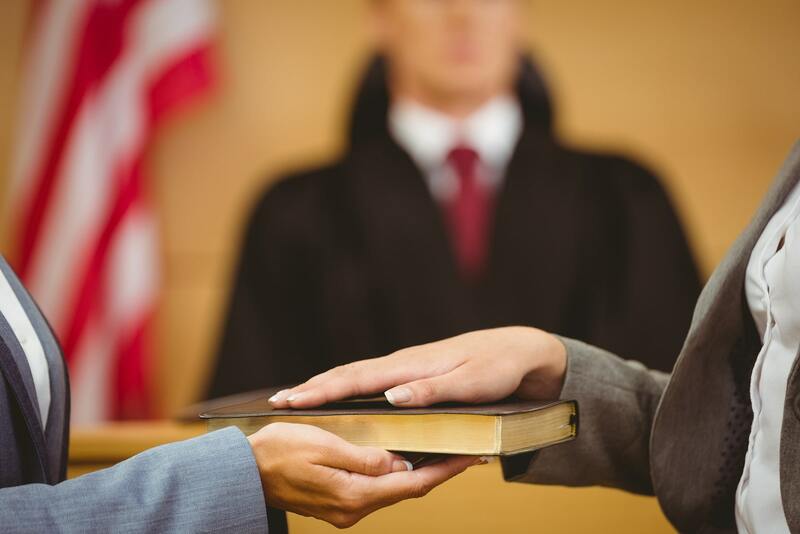 When you are facing an experienced prosecutor, you need to level the playing field by retaining a knowledgeable defense attorney who knows how to handle these complex felony cases. At the law offices of Overson Law, PLLC, we take a precise and proactive approach to every case we handle, because we believe in fighting aggressively to see that every defendant’s Constitutional rights are firmly upheld and rigorously protected throughout the legal process. We will carefully analyze the allegations against you to identify vulnerabilities and weak spots in the prosecution’s case, and will build a strategic defense strategy accordingly. Depending on the circumstances, it may be possible to obtain lesser penalties, or even have your case dismissed altogether. 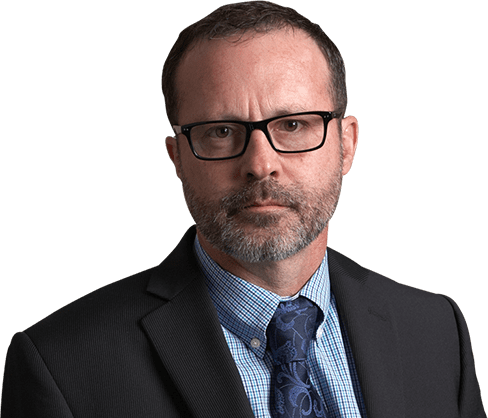 Criminal attorney Darwin Overson has more than 16 years of experience defending adults and juveniles who have been accused of threatening terrorism and acts of violence. He handles cases in Box Elder County, Cache County, Duchesne County, Morgan County, Rich County, Salt Lake County, Summit County, Tooele County, Wasatch County, Weber County, and throughout the state of Utah. If one of your family members is being detained in a county jail or holding center, Darwin Overson is prepared to make emergency visits as necessary. Do not speak to the police – contact our law offices immediately for assistance. If you are not familiar with the Utah Criminal Code, the legal definition of terroristic threats may be unclear to you. If you or someone you love has been accused of committing this crime, it is important that you understand the nature of the allegations. Terroristic threats – an offense formally known as “threat of terrorism” – are defined by Utah Code § 76-5-107.3. This statute explains what constitutes a terroristic threat in Utah. Many threats have nothing to do with terrorism. In order for a threat to be considered terroristic in nature, it must meet certain criteria, called “elements of the offense,” which are established by the statute. The prosecutor must prove each element of the offense in order for the defendant to be convicted. Weapons designed to emit dangerous levels of radioactivity. The person did not actually attempt to carry out the threat. The person was not capable of actually carrying out the threat. Again, this provision reinforces the fact that even a joking “threat” may lead to prosecution. A terroristic threat, like any other crime in Utah, must be classified as either a felony or a misdemeanor, depending upon the details of the incident. Needless to say, a felony classification involves much harsher penalties than a misdemeanor. There are three types of misdemeanors in Utah: Class C misdemeanors, Class B misdemeanors, and Class A misdemeanors. There are also three types of felonies: third degree felonies, second degree felonies, and first degree felonies. A Class C misdemeanor is the least serious offense, while a first degree felony is the most serious offense. The way a terroristic threat is classified depends on which portion of the statute it violates. For example, if someone allegedly commits this offense by threatening to use a WMD, or making a hoax involving WMDs, then making a terroristic threat is treated as a second degree felony. Other classifications are explained below. Second Degree Felony – Intimidating a civilian population in order to influence government. Third Degree Felony – Preventing the occupation of a public area, a public building, or public transportation. Class B Misdemeanor – Forcing an emergency response agency to deploy personnel. The penalties for terroristic threats in Utah depend largely on the way the crime is classified. For example, a second degree felony can lead to much harsher consequences than a Class B misdemeanor. Utah criminal penalties for threats of terrorism are explained below. In addition to terroristic threats, the Utah Legislature also recognizes making threats of violence as a criminal offense. While typically less serious than terroristic threat-related charges, threatening violence carries its own legal consequences, which can have persistent negative impacts on employment and other important personal and professional matters. It is not a valid defense to state that there was never any “real” threat. The threat may be either explicit or implied. In Utah, making a threat of violence is categorized as a Class B Misdemeanor. Again, the maximum penalties for a Class B misdemeanor are a jail sentence of up to six months and/or a fine of up to $1,000. If you or a loved one has been charged with making terroristic threats or threats of violence in Utah, you could be facing incredibly severe consequences. To arrange a free legal consultation with an aggressive, experienced terroristic threats attorney or threats of violence defense lawyer, call the law offices of Overson Law, PLLC at (801) 733-1308 or contact us online.